In 1969, Dixie Dupree is eleven years old and already an expert liar. Sometimes the lies are for her mama, Evie's sake-to explain away a bruise brought on by her quick-as-lightning temper. And sometimes the lies are to spite Evie, who longs to leave her unhappy marriage in Perry County, Alabama, and return to her beloved New Hampshire. But for Dixie and her brother, Alabama is home, a place of pine-scented breezes and hot, languid afternoons. Though Dixie is learning that the family she once believed was happy has deep fractures, even her vivid imagination couldn't concoct the events about to unfold. 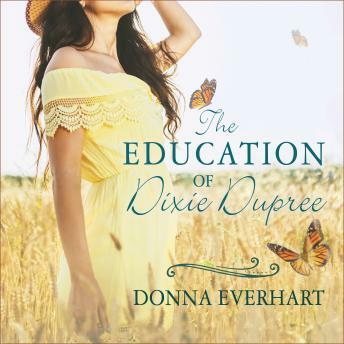 Dixie records everything in her diary-her parents' fights, her father's drinking and his unexplained departure, and the arrival of Uncle Ray. Only when Dixie desperately needs help and is met with disbelief does she realize how much damage her past lies have done. But she has courage and a spirit that may yet prevail, forcing secrets into the open and allowing her to forgive and become whole again.